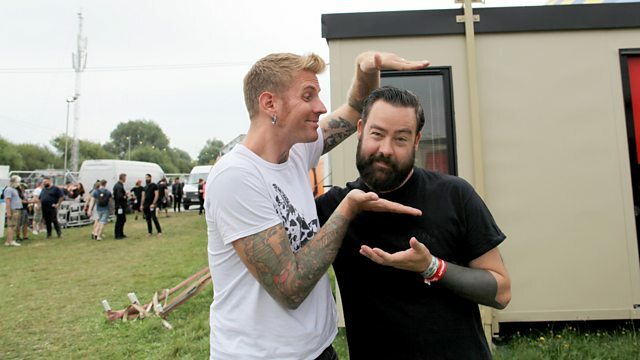 Dan comes live from Reading Festival, chatting to Fall Out Boy and Biffy Clyro, plus the likes of Mastodon, Dillinger Escape Plan, Thrice, Tonight Alive and Sleeping With Sirens! Dan is live from Reading Festival with live music highlights from across the weekend. He'll be chatting to Fall Out Boy and Biffy Clyro ahead of their co-headline slots, plus Mastodon, Dillinger Escape Plan, Thrice, Tonight Alive and, Sleeping With Sirens to name a few. PLUS, an exclusive Rockest Record from Of Mice And Men. Warner Bros. Records/14th Floor Records. The Violent Sleep Of Reason.